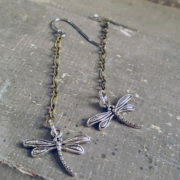 The dragonfly symbolizes change, transformation, adaptability, and self-realization. 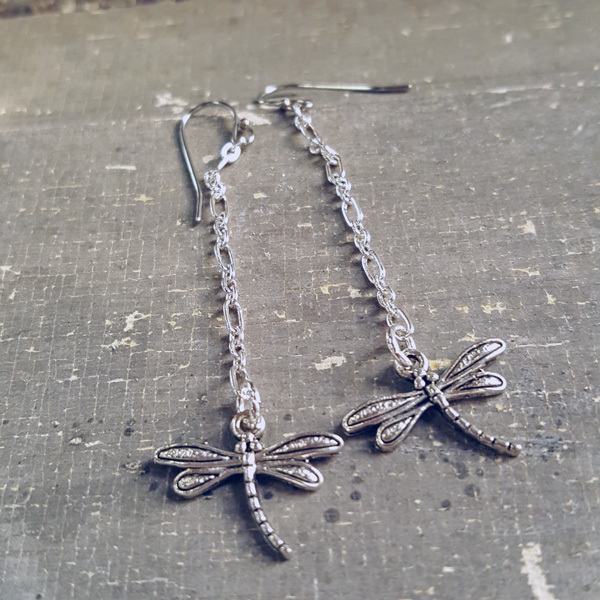 The change that is often referred to has its source in mental and emotional maturity and understanding the deeper meaning of life. 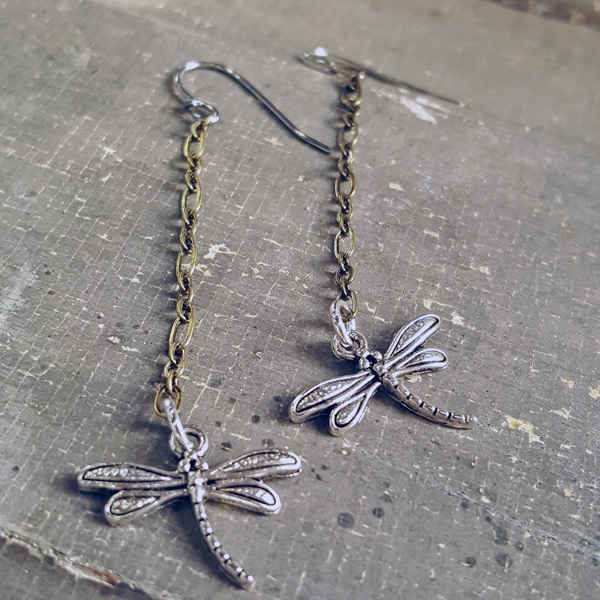 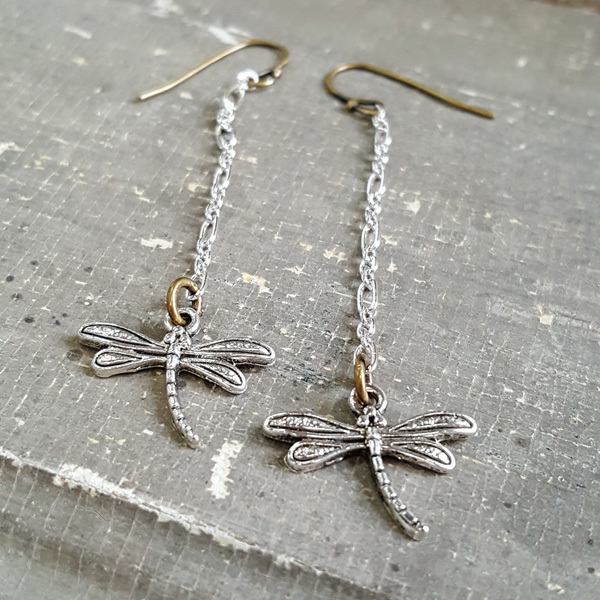 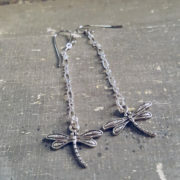 Our Dangling Dragonfly Earring is made of silver filled dragonflies and your choice of silver or brass chain and earwires.